Team HRC’s Brian Bogers is on the way to full recovery following the foot injury he suffered in Italy last November. The physical condition of the 21-year-old Dutch rider was evaluated today at the AZ St.-Elisabeth hospital in Herentals, Belgium, by foot/ankle specialist Anne van Riet. Despite being cleared to resume training, Dr van Riet has suggested a further six weeks’ rest before Brian can perform any activity requiring pressure on the foot. 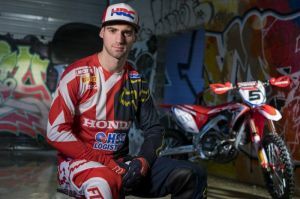 Bogers’ condition will therefore be re-evaluated at the end of March, after which a more accurate time frame for his MXGP debut will be announced. Team HRC has not yet made a decision regarding the rider line-up for the first events of the 2018 MXGP season.